The fourth installment of George Miller's 'Mad Max' films will be titled 'Fury Road' and is set to go into production in Sydney and New South Wales outback next year, according to Australain local reports. No studio backing for 'Fury Road' has been announced as of yet but the film will reportedly has a $100 million budget. Miller is quoted as saying that:"'Fury Road' will put New South Wales back on the map as a filmmaking destination. "Hollywood has cut its production in half. Big movies like 'Fury Road' and 'Happy' Feet are rare and competitively sought after in all the filmmaking regions of the world,". "The production agreements have been a long time in the making and (NSW) Premier Rees and his team have worked like Trojans to ensure this substantial investment comes into this country. Not only does it help fuel the local economy but it means many talented people get a chance to practice their craft and lift their skills." "The 'Mad Max' films are iconic," Rees said. "In the hands of director George Miller, we will see one of the largest and most ambitious live-action films ever made in Australia. This is a clear vote of confidence in Australian expertise. This proves that Sydney is an international contender for major film production." 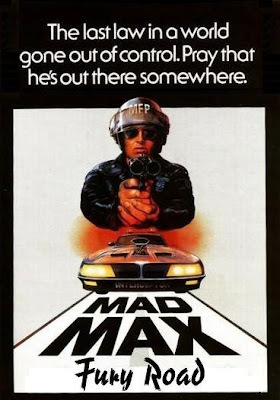 "Its been 30 years since the post-apocalyptic thriller "Mad Max" was released, propelling Mel Gibson to stardom.